Mortality rates for the five leading causes of potentially preventable deaths—heart disease, cancer, unintentional injury, chronic lower respiratory disease and stroke—are higher in rural areas, says a study by the federal Centers for Disease Control and Prevention. 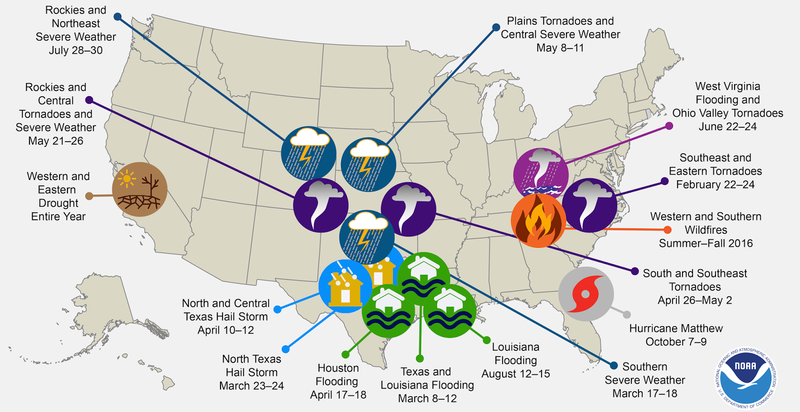 Rates are particularly high in rural areas in the South and Southwest, led by Alabama, Arkansas, Florida, Georgia, Kentucky, Louisiana, Mississippi, New Mexico, North Carolina, Oklahoma South Carolina, Tennessee and Texas, Lena Sun reports for The Washington Post. The top five top causes of death "accounted for 62 percent of the total 1.6 million deaths in the U.S. in 2014," Sun writes. "Among rural Americans, more than 70,000 of the deaths were potentially preventable, the study found, including 25,000 from heart disease and 19,000 from cancer." The study, which looked at deaths in the five areas from 1999-2014, blamed socio-demographic factors for higher death rates in rural areas. Residents of rural areas "tend to be older, poorer, and sicker than their urban counterparts," states the report. Rural residents also report higher rates of limited physical activity because of chronic conditions. Republican senators who want to delay President-elect Donald Trump's plans to immediately repeal the Patient Protection and Affordable Care Act, until a suitable replacement can be enacted, are mostly from states that expanded Medicaid under the law, Sy Mukherjee reports for Fortune. About 20 million Americans stand to lose coverage if the law is repealed and not replaced. GOP senators from Alaska, Louisiana, Maine, Ohio and Maine"signed on to an amendment Monday that would essentially delay (although non-bindingly) the repeal process by about a month to give congressional committees more time to craft an alternative," Mukherjee writes, noting that Alaska, Louisiana and Ohio have expanded Medicaid. Other Republican senators from Arizona, Kentucky (expansion states) and Tennessee (where the legislature blocked the governor's expansion plan) "recently warned against a hasty Obamacare repeal sans a replacement." Western ski towns that operate at least partly on federal lands are adding year-round attractions to make up for a decline in tourism dollars from lack of snow blamed on climate change, Allen Best reports for High Country News. "In the East, where most ski areas operate on private or state lands, the push to create non-snow activities began some years ago. The payoff came last winter: At Christmas, many resorts were barren of snow, but New Hampshire’s Cranmore Mountain Resort drew visitors by reopening its bungee trampoline and ropes course. At Mount Sunapee, people zipped down a canopy tour line." "But more than a hundred ski areas on Western national forests were governed by a 1986 law that authorized snow-related activities but provided no guidance for other uses," Best writes. 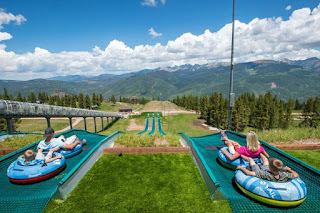 "A 2011 bill sponsored by then-U.S. Sen. Mark Udall, a Colorado Democrat, greatly expanded what ski areas are authorized to do, as long as the new activities and facilities 'encourage outdoor recreation and enjoyment of nature' and 'harmonize with the natural environment'." "As the Ski Area Recreational Opportunity Enhancement Act was being drafted, some environmental groups fretted that ski resorts would be turned into Disneylands, says Doug Young, then an aide to Udall," Best writes. "So the bill prohibits water parks, swimming pools, golf courses, tennis courts and amusement parks, even as it clears the way for mountain bike parks, ziplines and ropes courses." Vail Mountain in Colorado and Heavenly Mountain in Lake Tahoe were the test centers for summer activities. The U.S. Forest Service, which charges ski areas for summer activities, has projected "about 600,000 summertime visits to ski areas and almost $32 million in additional direct spending in neighboring communities, with a ripple effect of 500 annual, temporary or full-time jobs," Best reports. President Obama on Thursday created three new national monuments in the South. 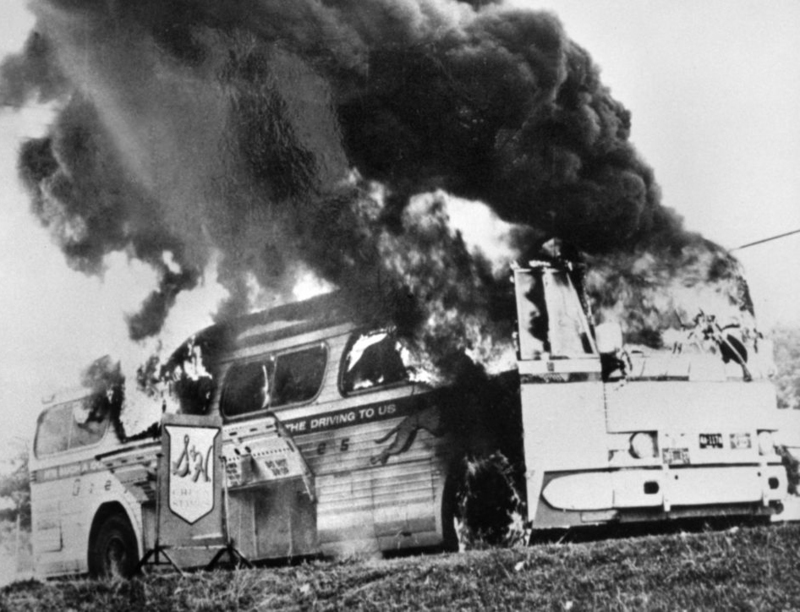 "The White House said the president was using his authority to mark the upcoming Martin Luther King Jr. Day on Monday by creating two new sites in Alabama, the Birmingham Civil Rights National Monument and the Freedom Riders National Monument in Anniston," where a bus was attacked and burned, and the Reconstruction Era National Monument in South Carolina, Jennifer Yachnin reports for Greenwire. save the A.G. Gaston Motel where Martin Luther King Jr.
had a "war room" before the motel was bombed in 1963. 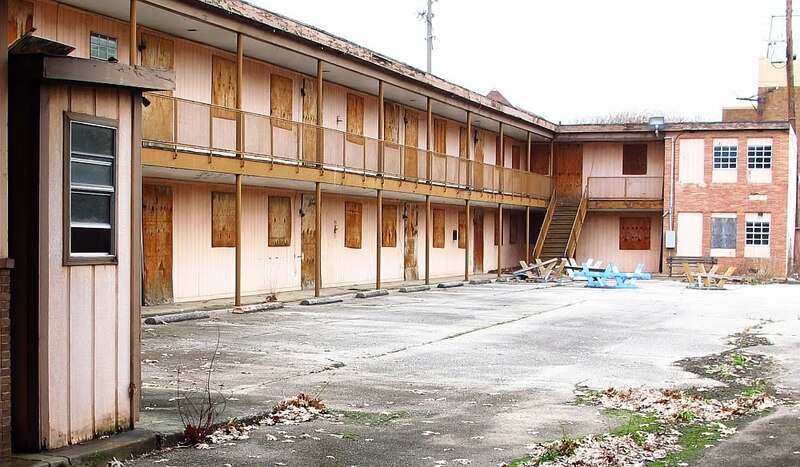 The hotel, vacant for 20 years, will be restored. Obama said in a statement: "Today, I am designating new national monuments that preserve critical chapters of our country's history, from the Civil War to the civil rights movement. These monuments preserve the vibrant history of the Reconstruction Era and its role in redefining freedom. These stories are part of our shared history. ... I have sought to build a more inclusive national park system and ensure that our national parks, monuments and public lands are fully reflective of our nation's diverse history and culture." The Anniston monument will encompass two sites, the bus station where an interracial group of civil-rights activists "rolled into town challenging segregation on interstate buses" and were attacked by a mob, and "the site on Alabama 202 west of town where [the] bus broke down and was firebombed by a white mob," Eddie Burkhalter reports for The Anniston Star. Obama said in his proclamation, "Media coverage of the Freedom Rides inspired many people to take action and join the effort to end racial inequality." "The Reconstruction monument includes several sites near Beaufort, S.C., which fell under control of the Union Army in November 1861, and became one of the first places where emancipated slaves voted, bought property and created churches, schools and businesses," reports Jennifer Scheussler of The New York Times. "For some historians, the creation of the Reconstruction monument, by the nation’s first African-American president, represents a particularly sweet symbolic victory" of a 15-year effort that was opposed by "the Sons of Confederate Veterans and others, and died in Congress. It was renewed in spring 2015." Stephen Fastenau of the Beaufort Gazette reports, "A National Park Service study concluded Beaufort County was the most logical place for a monument to the period during and after the Civil War because of the saturation of important sites." Obama also expanded two national monuments. The California Coastal Monument, created by President Clinton in 2000 and expanded by Obama in 2014, will be expanded again by 6,230 acres. The Cascade-Siskiyou National Monument will add 42,000 acres of public land in Oregon and 5,000 acres in California. The same conflicts of interest playing out nationally with President-elect Donald Trump are occurring on a smaller scale in West Virginia, Jonathan Mattise and Michael Virtanen report for The Associated Press. 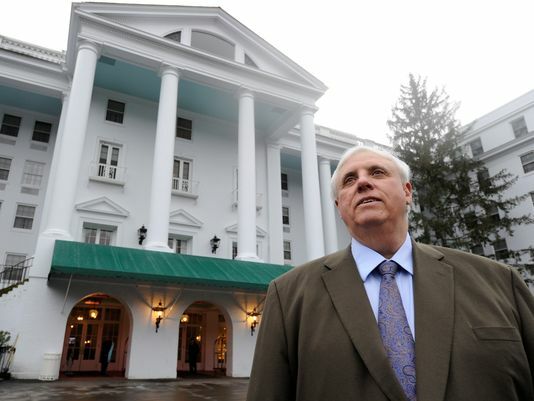 Jim Justice, the billionaire operator of Southern Coal Corp. and owner of The Greenbrier resort, was elected governor of West Virginia, and like Trump, "has refused to shed his holdings, giving assurances he can be trusted to act honorably," reports AP. "Like Trump, he has put his business empire in the hands of family members, though he said as recently as last month that he would put his holdings in a blind trust." Justice, who has around 100 businesses in his name, has real estate, farm and resort holdings. That has raised "questions about how state agencies that answer to him will regulate the safety of his coal mines, consider the tourism tax breaks at his resort, or pursue millions of dollars in past-due state taxes owed by some of his entities." AP continues, "One difference in West Virginia, though, is that Justice, like some other governors around the country, is subject to more stringent conflict-of-interest rules than even the president of the U.S., who is exempt from the provisions that apply to Cabinet members and other government employees," reports AP. "West Virginia ethics law prohibits public officials, the governor included, from knowingly using their offices for their own private gain or that of someone else. State regulations also bar public officials from profiting from state contracts over which they may have control." Justice told reporters, "I'm going to try to remove myself completely. In fact, I'm going to remove myself completely from the daily decisions, the decisions that they make. But I want you to realize just this: What is the alternative? I mean, is it best to just close the businesses that I have? They generate tens and tens and tens of millions of dollars to our state. It would be frivolous to do that. It'd be absolutely the stupidest thing in the world to do. I don't want a thing—and absolutely I want to underline that—you can't bring me anything to my business that's going to be beneficial to me in any way." fake news story he read on the internet. Facebook is joining the fight against fake news, Sarah Frier reports for Bloomberg Technology. The popular social media site, which has 1.79 billion users, is launching its Journalism Project, which "includes stronger partnerships with media companies, greater support for local news and better efforts to educate users to avoid hoaxes." The project will follow "a year of debate over Facebook’s role in the media—inside the company and externally—during which it faced questions over whether the social network is biased in the way it presents news to users and whether it propagates false information," Frier writes. "Members of the media will be updated on the efforts, which include training for journalists and ways to promote news literacy among users, on a new Facebook Journalism Project page." Facebook officials said they want to educate users "on what news sources to trust—a potentially thorny issue after a controversy last year over its trending topics section, which prioritized news from certain mainstream organizations, but not some popular conservative sites," Frier writes. "The company will work with outside organizations like the News Literacy Project and run public service ads and is open to making financial grants where necessary, Facebook said." 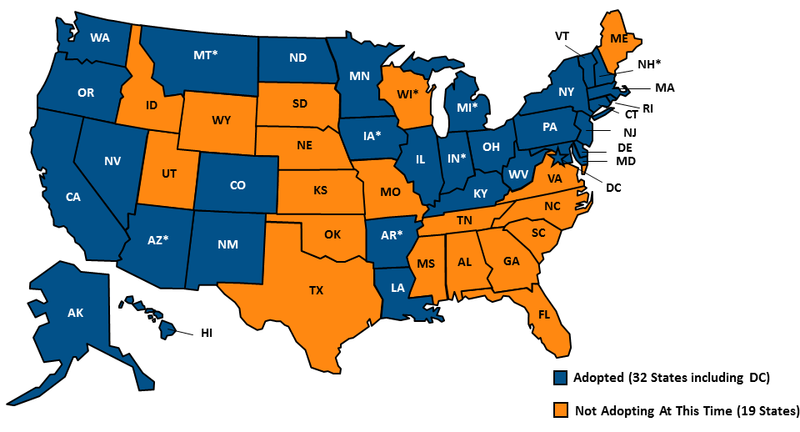 If Congress repeals the health-reform law, struggling rural hospitals, many in regions that strongly supported Donald Trump, could be in danger of shuttering, Shefali Luthra reports for Kaiser Health News. The Patient Protection and Affordable Care Act "threw a number of life-savers to these vital but financially troubled centers. And its full repeal, without a comparable and viable replacement, could signal their death knell." Luthra's example is Highlands Hospital in Connellsville, a poor rural town in Southwest Pennsylvania, which has struggled with the loss of coal mining and manufacturing jobs. Trump won Fayette County with 64 percent of the vote. Without Obamacare's expansion of Medicaid, the 64-bed hospital, the town's second largest single employer, could close, costing the town hundreds of local jobs. "In Pennsylvania, 625,000 people enrolled in the expanded Medicaid program," Luthra writes. "Close to 300,000 came from rural areas, said Andy Carter, president of the Hospital and Health System Association of Pennsylvania. As of October, about 42,700 of Fayette’s residents had Medicaid, according to state data, an increase of about 8 percent from 39,460 in June 2015. (Pennsylvania‘s Medicaid expansion took effect in January of that year.) That’s close to one-third of the county’s population." "Rural hospitals have long operated on the edge," Luthra writes. "In the past six years, more than 70 such facilities have closed, citing financial duress. Almost 700 more have been deemed at risk of following the same path. Meanwhile, the need for reliable health care remains pressing. Conditions such as heart and lung disease are widespread in rural areas. Addiction to the prescription painkillers known as opioids is acute. Nationally, the Medicaid expansion offered a bit of stability for some rural hospitals at risk of closure. 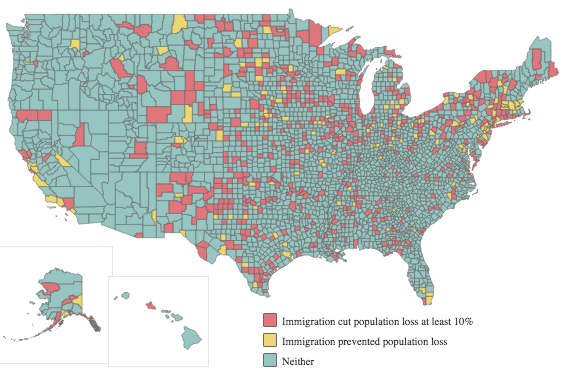 Researchers say it disproportionately benefited such facilities—particularly here and other states with large rural populations, such as Illinois, Kentucky and Michigan." This is the third year federal government will apply penalties to hospitals that fall short of patient safety standards, leading one Consumers Union leader to wonder why hospitals aren't working harder to eliminate the infections and complications that are causing them to loose money, Trudy Liberman writes in her column for the Rural Health News Service. “What I am most frustrated about is the lack of urgency in the country and at the agencies for eliminating these infections," Lisa McGiffert, head of the Consumers Union Safe Patient Project, told Liberman. 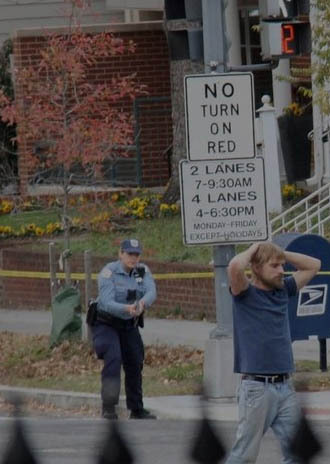 "They are aware of them, but there’s not a sense of urgency to stop them." "The penalties, along with the entire program to eliminate hospital-acquired conditions, were authorized under the Affordable Care Act," Liberman writes. "They could be in jeopardy if the law is repealed. Some hospitals probably would be happy if they disappeared." Penalties are levied against hospitals that have a high number of patients with avoidable infections and complications, including blood clots, urinary-tract and surgical-site infections, bed sores and falls. And this year, infections related to antibiotic-resistant infections, like methicillin-resistant Staphylococcus aureus (MRSA) and C. difficile, have been added to the list. Medicare will impose a 1 percent cut in payment to 769 U.S. hospitals who fell short of these patient safety standards in the fiscal year that ended Sept. 30. Since the inception of the penalty program, Lieberman reports, 241 hospitals have been punished in all three years, but 347 that were penalized last year are not on the "bad-guy list." Critical-access hospitals (by definition, rural) and specialized hospitals that treat psychiatric patients, veterans and children are exempt from the penalties. 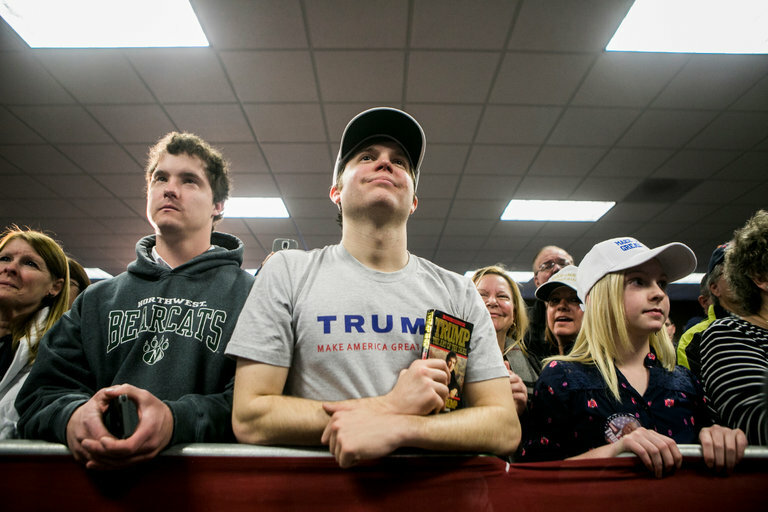 Recent controversies surrounding President-elect Donald Trump have done little to quell his popularity in rural eastern Iowa, "the epicenter of the political quake that made Trump president," Trip Gabriel reports for The New York Times. Gabriel, who spent a year living in Iowa leading up to the caucuses in early 2016, recently returned to see if public opinion about Trump had changed in a state that President Obama won in 2012, but that Trump won handily in 2016. More than 30 Iowa counties swung from Obama to Trump. "Al Ameling, 58, a technical analyst who lives in Marble Rock, near the Minnesota border, is representative of the profound demographic shift among white rural voters in the northern Midwest that helped produce Trump’s stunning upset," Gabriel writes. "Ameling voted for Obama in 2008, sat out in 2012 and enthusiastically backed Trump. Nothing he has heard since Election Day has shaken his support, including reports this week that American intelligence agencies are investigating unverified accounts of meetings between Trump aides and Russian officials, as well as salacious activity by Trump in Moscow. On Wednesday, Trump called the allegations completely false." Gabriel writes, "The Iowans I interviewed largely went about their lives outside the political hothouse social media. They did not follow hour-by-hour developments of the presidential transition. Indeed, on Wednesday, several were unfamiliar with the reports that Russia was holding compromising information on the president-elect, which Trump addressed in a news conference. Many were hazy on specific policy details about how, say, House Republicans were seeking to replace Medicare with a voucher system. These voters feared an outbreak of European-style terrorist attacks by Muslims in the U.S., maybe in their own communities. And overwhelmingly, Trump supporters did not want their hard-earned money redistributed to people they regarded as undeserving." Farmers clear snow in Harrah, Wash.
Leave it to farmers to save local residents from being snowed under. 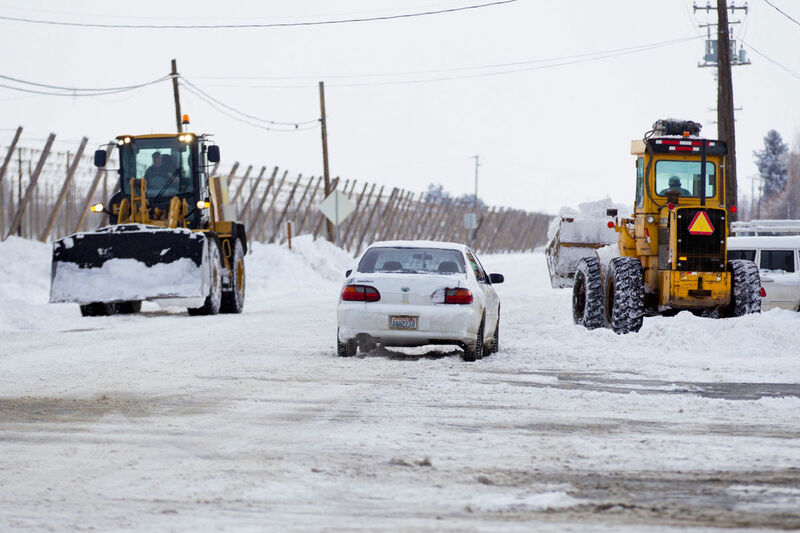 Snow has piled up so high in the town of Harrah, Wash., on the Yakima reservation, that the snow budget of $500—usually spent entirely on sand—isn't enough, Phil Ferolito reports for the Yakima Herald. 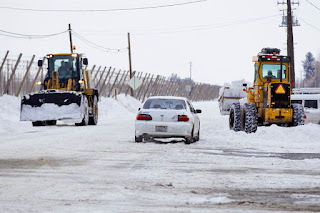 So farmers on Wednesday "brought out tractors, front-end loaders and a backhoe to clear snow from roads and parking spaces in the center of town." The court date for the Obama administration's proposed regulations on horizontal hydraulic fracturing on public and tribal lands has been pushed back until after Donald Trump's inauguration, meaning "the Obama administration will no longer have the opportunity to defend its signature fracking regulation," Ellen Gilmer reports for Energywire. The court date, originally scheduled for Jan. 17, was moved to March 22 to allow extra argument time. "The Bureau of Land Management rule sets new requirements for well construction, wastewater management and chemical disclosure for fracked wells on public and tribal lands, and was the administration's most high-profile attempt to increase oversight as fracking and horizontal drilling took hold across the country," Gilmer writes. "The rule was finalized in March 2015 and immediately challenged in court by states, industry and tribes." A district court in Wyoming ruled in 2015 that the Obama administration does not have the authority to regulate hydraulic fracturing on public lands, but the administration said the court made a legal error. Senate Majority Leader Mitch McConnell (R-Ky.) released a letter he sent to President-elect Donald Trump, dated Jan. 4, proposing ways the incoming administration can revitalize the region's coal industry. McConnell, who has blamed President Obama for coal's downfall, said environmental regulations are largely to blame for the downturn in the industry and that natural gas is not the solution to the nation's energy needs. "I have concerns about recent shifts away from coal infrastructure in favor of natural gas," McConnell wrote. "Historically, natural-gas prices have fluctuated over time, and continuing to shift our infrastructure away from coal could have harmful lasting economic effects if gas prices shift back to the high levels experienced not long ago." Gas prices have become lower and more stable because of the huge increase in supply caused by horizontal hydraulic fracturing. McConnell recommended repealing regulations, starting with the Stream Protection Rule, the Obama administration's new regulation aimed at reducing water pollution from surface mining, Dylan Brown reports for Greenwire. "McConnell asked Trump to bar enforcement of the rule by the federal Office of Surface Mining Reclamation and Enforcement. He also asked Trump to support a resolution of disapproval. The Congressional Review Act allows Congress to strike any regulation within 60 days. Republicans have already started the process in the House." McConnell "urged Trump to stop the federal defense of the Clean Power Plan—carbon-emission limits for power plants—and the Waters of the U.S. regulation defining the federal regulatory reach over wetlands and waterways" under the Clean Water Act, Brown writes. "Trump has said he disapproves of both rules, and U.S. EPA regulations generally." "McConnell also asked Trump to maintain spending to help Kentucky and neighboring Appalachian states and to help keep the $90 million abandoned mine land pilot project for cleaning up old mines to spur economic development," Brown writes. "He also asked for a long-term solution to the health care crisis facing thousands of retired union coal miners. McConnell, long an obstacle to the effort, recently declared he will push for reform." UPDATE, Jan. 16: The Times has published several letters responding to Leonard's essay. The difference between Republicans and Democrats, and the reason Donald Trump was elected president, is the contrasting ways each party views the world, Robert Leonard, news director for Knoxville, Iowa, radio stations KNIA/KRLS, opines in The New York Times:"Political analysts have talked about how ignorance, racism, sexism, nationalism, Islamophobia, economic disenfranchisement and the decline of the middle class contributed to the popularity of Trump in rural America. But this misses the deeper cultural factors that shape the thinking of the conservatives who live here." Leonard, a self-described liberal, said he had long struggled to understand how his conservative friends and neighbors in Marion County, Iowa, "could think so differently from me, not to mention how over 60 percent of voters in my county could have chosen Trump." Then he met J. C. Watts, a Baptist minister and former Republican congressman from rural Oklahoma. Leonard writes, "Hearing Watts was an epiphany for me. For the first time I had a glimpse of where many of my conservative friends and neighbors were coming from. I thought, no wonder Republicans and Democrats can’t agree on things like gun control, regulations or the value of social programs. We live in different philosophical worlds, with different foundational principles." And it's not just an older-generation type of thing, Leonard writes. He sees an increasing number of young conservatives in rural areas: "They are part of a growing movement in rural America that immerses many young people in a culture—not just conservative news outlets but also home and church environments—that emphasizes contemporary conservative values. It views liberals as loathsome, misinformed and weak, even dangerous." Study author John Wright said that in 93 of those counties—all won by Trump—"the share of manufacturing jobs is three times higher than the national average," Paquette writes. Wright "said areas with dense manufacturing sectors particularly pulled for Trump, perhaps because he came to represent hope for a struggling industry. Traditional manufacturing jobs in the U.S. have sharply declined since 2001, dropping, by his calculations, from 12 percent of the workforce to today’s 8.2 percent." "Trump promised throughout the campaign to bring back American jobs, the kind vanishing across the Rust Belt," Paquette writes. "Exit polls and interviews suggest voters believed him." Large-market insurers negotiate lower prices for doctor-office visits than small-market insurers, says a study by researchers at Harvard Medical School published in Health Affairs. For example, "Insurers with market shares of 15 percent or more negotiated prices for office visits that were 21 percent lower than prices negotiated by insurers with shares of less than 5 percent." Small-market insurers are more likely to be in rural areas. Researchers suggest mergers as a way to give providers the wiggle room to negotiate lower prices, Max Ehrenfreund reports for The Washington Post. "Since doctor's offices often agree to calculate all their prices using a single formula, these figures suggest that a group of doctors working in an independent office could increase their revenue by nearly 20 percent if they sold out to a larger partnership." One problem with the study is that the data from 2014 could be outdated, Ehrenfreund writes. "The numbers reveal little about how recent mergers might have affected the strategic situation for participants in this market or about how future mergers might affect premiums for ordinary people." Diana Moss, an economist and the president of the American Antitrust Institute, said "one possibility is that mergers among insurers will induce doctors and hospitals to conglomerate as well, which in turn will encourage greater consolidation in the insurance sector." Sign at the library in Clearwater, Kan. In an attempt to combat internet dead zones, some rural libraries have begun "circulating cellular-based hotspot devices, similar to a cell phone," that provide internet anywhere cellular service is available, reports the Daily Yonder. What began as an urban project has been spreading to rural areas, the Yonder reports. 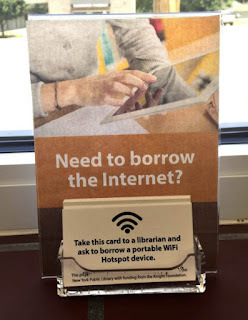 In 2015, the New York Public Library (NYPL), the Brooklyn Public Library and the Queens Public Library system piloted a hotspot lending program for New York residents without broadband at home." NYPL has since "partnered with 24 rural libraries in Kansas and Maine to see how the program might be different in more remote areas. Some libraries in Kansas chose to continue their programs by coming up with their own funding source." At the Goodland Public Library in northwestern Kansas, the program has been so popular that after funding ended the library "continued the hotspot lending program on its own, funding the $40-a-month cost for each device with help from the library board," reports the Yonder. 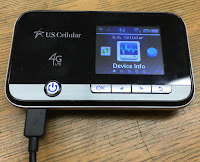 "Goodland Library negotiated with Verizon and obtained unlimited, unthrottled data services; regular cellular wireless plans often have a monthly cap on data usage. Currently, Goodland has one device it loans out for short term uses and the remaining devices have a loan period of seven days." Peabody Memorial Library in Jonesport, Maine, has enjoyed success through the program, reports the Yonder. "With 13 devices total and occasional wait lists, the director estimates that 40 to 50 families have taken advantage of the hotspot devices, with at least 20 families consistently relying on one." In Jonesport, where more than 20 percent of the population lives in poverty and 60 percent of students receive free or reduced price lunches, students with school-issued laptops get first choice on the devices. Black and Hispanic drivers in Vermont are stopped and searched at higher rates than other drivers, even though white and Asian drivers are more likely to be found with contraband, says a study by researchers at the University of Vermont and Cornell University. The study, which used 2015 data from 29 law-enforcement agencies—covering 78 percent of the state's population—found that black drivers are four times more likely than white drivers to be searched, and Hispanics three times more likely than whites. Asian drivers are less likely to be searched than other drivers. Warnings were given to black drivers 58.9 percent of the time, Hispanics 56.4 percent, whites 62 percent and Asians 60.6 percent. When it comes to tickets, black drivers receive one 40.6 percent of the time, Hispanics 42.1 percent, whites 37.4 percent and Asians 38.7 percent. "The study is the first examining traffic policing and race following a 2014 state law mandating the data collection," Elizabeth Murray reports for the Burlington Free Press. While no state agency has been tasked with analyzing the data, law enforcement officials who attended a press conference Monday where the study was released, "said the data will be useful in examining current practices and informing training and supervision going forward." Vermont is one the nation's most rural and least diverse states, with 94.8 percent of the population white, according to a 2015 report from the U.S. Census Bureau. 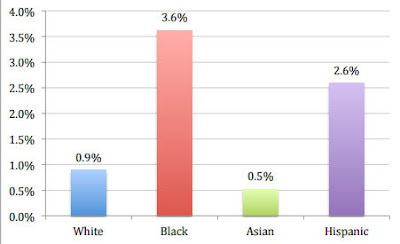 Hispanics make up 1.8 percent of the population, blacks 1.3 percent and Asians 1.6 percent. Region where rusty patched bumble bees have been found. The U.S. 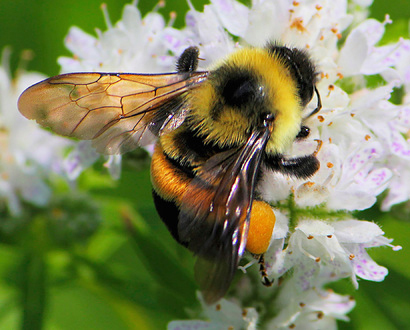 Fish and Wildlife Service has named the rusty patched bumble bee an endangered species. Much of the natural habitat of the bees, grasslands and tallgrass prairies in the Upper Midwest and Northeast, "have been lost, degraded, or fragmented by conversion to other uses," states the agency. Increased use of pesticides, parasites and disease also suggest why the species has lost 87 percent of its population in the past 20 years and is now found in 13 states and Ontario, Canada, after having been found in 28 states. Agri-Pulse reports, "FWS said that while it is 'difficult to pinpoint exactly when the species’ decline began, data show that the bee’s 'precipitous declines' became apparent around 1995 and continued into the early 2000s, a period that 'coincides with increased neonicotinoid use.'" Bayer CropScience and CropLife America said "the decline began before neonics began to be widely used and that bees are, in fact, able to coexist with corn and soybeans," reports Agri-Pulse. "Bayer, for example, said that FWS did not consider field studies that 'have found no adverse effects when bees are placed near treated crops and allowed to forage naturally.' 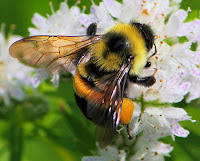 FWS acknowledged 'that there are studies that did not find adverse effects, but that 'the totality of data … suggests some insecticides kill bumble bees and others cause sublethal effects.'" Agri-Pulse is subscription only, but can be viewed by clicking here. Last year was the second warmest year on record, says a report released Tuesday by the National Oceanic and Atmospheric Administration. 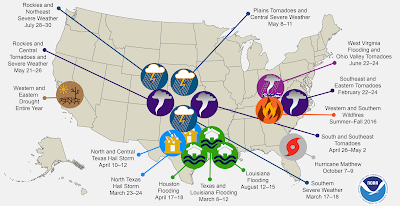 NOAA found that the average annual temperature was 54.9 degrees Fahrenheit, 2.9 degrees above average. The European Union's Copernicus Climate Change Service had called 2016 the warmest on record, finding its average to be 58.64 degrees, 0.36 degree higher than the record high set in 2015. Records have been kept for 122 years. Another clean-coal plant, operated by Mississippi Power, a subsidiary of Southern Co., was supposed to be the first commercial clean-coal facility, but delays have put the project several years and billions of dollars behind schedule. It is now set to be operational on Jan. 31, Mooney reports. The "plant has been designed to turn lignite, a type of coal, into a gas called syngas, stripping out some carbon dioxide in the process. The syngas is burned for electricity and the CO2 is ... shipped to an oil field to aid in additional oil recovery." 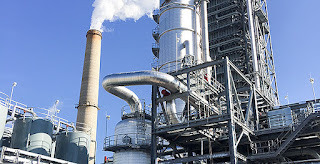 Christa Marshall and Edward Klump report for Energywire, "Analysts say the plants are starkly different, considering that one involves a retrofit of a plant that captures CO2 after burning coal and the other involves gasifying coal and pre-combustion capture. 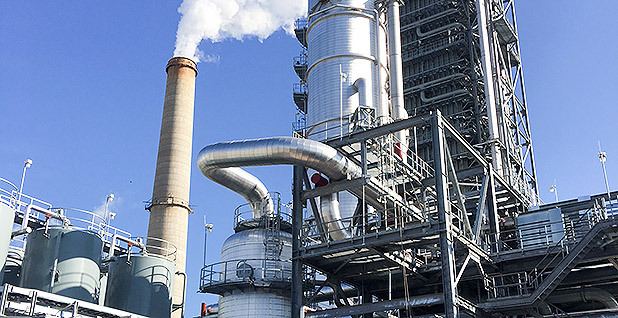 Along with building a gasification plant from scratch, Kemper is testing its new Transport Integrated Gasification technology to turn coal into synthetic gas for the first time." President-elect Donald Trump "hasn't specified in detail whether he supports CCS incentives," reports Energywire. "The leading proposal in Congress to boost CCS is expanding an existing tax credit for carbon storage called Section 45Q. It remains unclear, though, how much an expansion would help prompt new projects by itself, particularly on power plants." In 2010 Kentucky had 39 "dry" counties (where all alcohol sales are banned), 32 "wet" counties (sales are allowed), 20 "moist" counties (contain some wet jurisdictions) and 29 "limited" counties (sale by the drink in restaurants meeting certain criteria). All the dry counties were rural; several have since gone wet or moist. For the study period the mean lab-seizure rate was 2.17 per 100,000 residents in wet counties, 2.26 in moist counties and 3.92 in dry counties. The highest rates of lab seizures were along the border of Tennessee, a state in which beer is generally available but stronger drink is less so. Christopher Ingraham of The Washington Post reports, "After running some statistical tests, the researchers found that this is more than just a simple correlation." They said, "Our results add support to the idea that prohibiting the sale of alcohol flattens the punishment gradient, lowering the relative cost of participating in the market for illegal drugs." The UofL research "fits in with other findings showing harmful effects of localized alcohol prohibitions," Ingraham writes. 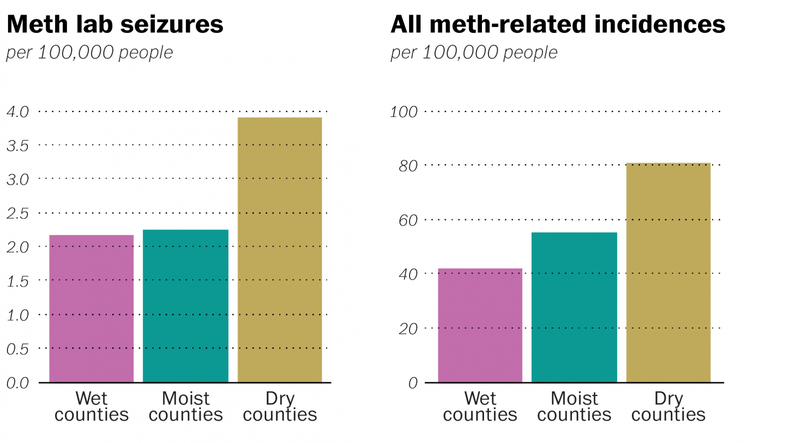 "A 2005 paper in the Journal of Law and Economics found that when Texas counties changed from dry to wet, their incidences of drug-related mortality decreased by 14 percent as people substituted alcohol for other drugs. Records from the Kentucky State Police show that dry counties tend to have higher rates of DUI-related car crashes than wet ones, presumably because when you live in a dry county, you have to drive farther to get your booze. A 2010 report from the Robert Wood Johnson Foundation found that binge drinking rates were often higher in Alabama's dry counties than its wet ones." 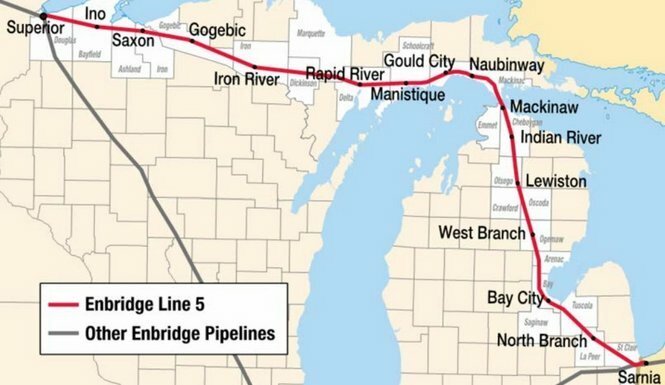 The Bad River Band of Lake Superior Chippewa, a Native American tribe in Wisconsin, "has voted against renewing agreements allowing Enbridge Inc. to use their land for a major crude oil pipeline," Nia Williams reports for Reuters. 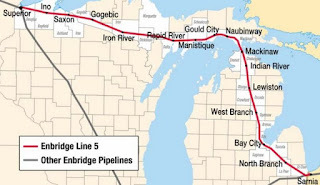 "The Bad River Band decided not to renew easements on Enbridge's Line 5 pipeline last week because of concerns about the risk of oil spills, and called for the 64-year-old pipeline to be decommissioned and removed." Bad River Tribal Chairman Robert Blanchard said in a statement: "As many other communities have experienced, even a minor spill could prove to be disastrous for our people." Calgary-based Enbridge, Canada's largest pipeline company, "said it had been discussing the easement renewals since before the agreements expired in 2013 and the pipeline had operated safely through the reservation since 1953, Williams writes. The company said in a statement on Monday: "We are surprised to learn of the Bad River Band’s decision not to renew individual easements within the reservation for Line 5 after negotiating in good faith for the past several years." The Obama administration said Monday it will act quickly on plans by North Carolina's recently elected Democratic Gov. Roy Cooper to expand Medicaid in the state, William Douglas and Lesley Clark report for McClatchy Newspapers. President-elect Donald Trump has said repealing federal health reform, of which Medicaid expansion is the most expensive part, is one of his first priorities after taking office at noon Jan. 20.
Cooper last week sent a letter to federal officials "alerting them of his intention to expand Medicaid, which currently covers 1.9 million North Carolinians and costs $14 billion a year," reports McClatchy Newspapers. "Two-thirds of the expense is paid for by the federal government." North Carolina Republicans in the House and state legislature responded with "a letter to Centers for Medicare & Medicaid Services Acting Administrator Andrew Slavitt, urging him to reject Cooper’s expansion plan," McClatchy reports. They "said Cooper’s move was illegal because a 2013 state law prevented the governor from seeking expanded Medicaid coverage without the state legislature’s support." They wrote: “Any governor of North Carolina does not have the legal authority to submit a Medicaid expansion plan to CMS. Such actions would commit the state to approximately $600 million in new spending each year." Farmers are growing more pessimistic about their current condition, but have become more optimistic since the presidential election, though their views vary with income, according to the DTN/The Progressive Farmer's Agricultural Confidence Index. 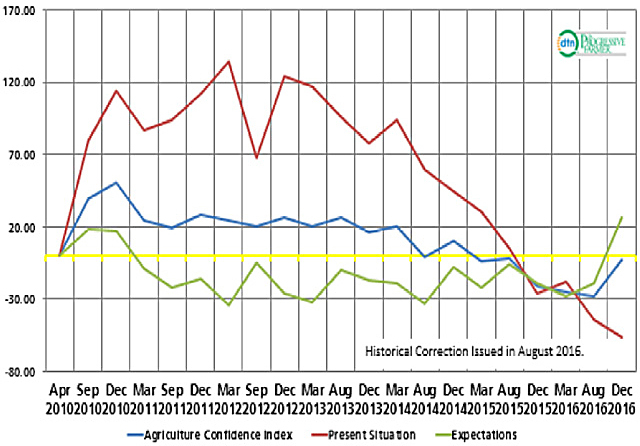 Surveys of 500 farmers in December produced an index of 98, on a scale where 100 or above indicates optimism. The figure was way up from 72 in August. 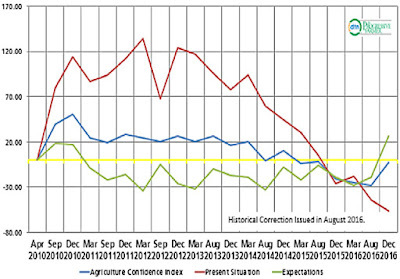 Farmers are surveyed three times per year, "before spring planting, just prior to harvest, and at year's end, to determine their opinions about their current economic situation and about that situation in the year to come," Greg Horstmeier reports for DTN. "Those answers create a score for farmer's 'current condition,' how they feel about their businesses at the time of the survey, and a score for their 'future expectations' for the coming year." The current conditions are not good. "Commodity prices show little sign of more than minor price blips to cash in on," land and input costs show only minor relief, and "acreage estimates for 2017, along with weather predictions, give little chance of a short U.S. crop," Horstmeier writes. So, why are future expectations so optimistic? "The only thing you can tie that positivity to is the election. Farmers have a lot of hope for the new president," said Robert Hill, principal of Caledonia Solutions and the creator of the index,. The future-expectations score varied with income. Farmers earning $100,000 to $249,999 a year were at 112.6, those making $250,000 to $499,999 had a score of 129.9, and those with incomes of $1 million or more scored 79. Hill said the results suggest "that farmers in the lower income levels were more concerned with regulatory and other non-profit-related issues that a Trump presidency has promised to remove. Larger farmers, faced with a higher level of concern over land costs, employee needs, and commodity prices in general may put those worries ahead of the more emotional regulatory issues." Last year was the hottest on record, says a report by the European Union's Copernicus Climate Change Service. Researchers found that global surface temperatures in 2016 averaged 58.64 degrees Fahrenheit, 2.3 degrees "higher than estimated before the Industrial Revolution ushered in wide use of fossil fuels," Alister Doyle reports for Reuters. Temperatures last year were .36 degrees higher than the record high temperatures in 2015. President-elect Donald Trump got 81 percent of the votes of white evangelicals—a group often consisting of older Americans who long for the good old days of the 1950s when minorities had fewer rights, Sarah Pulliam Bailey writes for The Washington Post. A 2016 survey by the Public Religion Research Institute found that 74 percent of white evangelicals believe American culture has mostly changed for the worse since the 1950s, compared to 62 percent of African Americans and 57 percent of Hispanic Americans who think the culture has changed for the better. Take Mount Airy, N.C. (Best Places map), birthplace of Andy Griffith and the town many believe to be the inspiration for Mayberry on The Andy Grffith Show. The town is in Surry County, North Carolina, which Trump easily won, 23,210 to 7,280 for Hillary Clinton. The county of 73,170 is 92.3 percent white, and Mount Airy is 84 percent white, 8.2 percent black and 6.7 percent Hispanic. Thresa Tucker, whose husband is a Baptist pastor in Mount Airy, said "African Americans who have voiced concerns over what Trump will do for the poor would have a different perspective if they tried harder to help themselves," Bailey writes. Tucker told her, “I think black people think they’re owed something. I think if they acted differently, people would be apt to help them.” Tucker "later added that some white people expect handouts, too." Outgoing Environmental Protection Agency head Gina McCarthy says one of her biggest regrets was a failure to connect to rural America, Valerie Volcovici reports for Reuters. McCarthy told Reuters, "We tried to change the outreach and messaging in rural America in a number of ways, but . . . has it changed the rhetoric that people hear? It hasn't. We couldn't get it, but I wish we had." The EPA chief sometimes rubbed rural folks the wrong way and inadvertently offended people. That was evident during her failed attempts to explain EPA's expanded definition of "waters of the U.S." under the Clean Water Act to farmers, in which she called their concerns about the rules "silly" and "ludicrous," words she said were taken out of context. "McCarthy said her struggle to convince rural Americans that a clean energy economy can also provide jobs was a major disappointment in a four-year tenure that she felt was mostly positive," Volcovici writes. "She said crafting the country's first carbon regulations for power plants and taking strong enforcement actions against companies like Volkswagen—accused of cheating on emissions tests—were high points that proved the agency's serious approach." She said she "tried to build more visibility and stronger partnerships in rural communities to emphasize the value of the EPA's role, particularly in protecting local air and water," Volcovici writes. "But she said political baggage around the term 'climate change' had hampered those efforts. 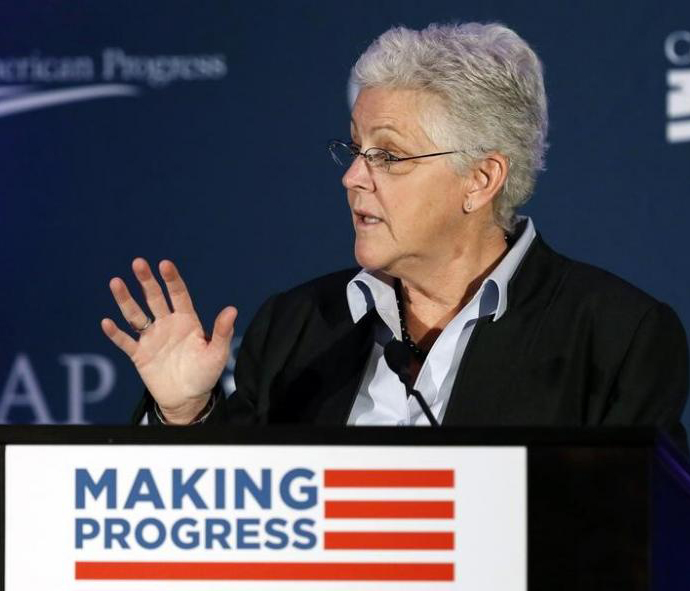 She told Reuters, "Just because climate continues to be bandied about as a partisan issue instead of just a science issue, it's made EPA's job more difficult." McCarthy also said coal-mining communities "unfairly blamed the EPA for a downturn in the industry that began decades before the regulatory shift against carbon, and which has accelerated because of competition from natural gas." The opioid epidemic, which is disproportionately rural, shows no sign of letting up any time soon, says a New York Times investigation that looks at the impact of painkillers on communities in Arizona, California, Iowa, Massachusetts, Utah, Washington and Wisconsin. "Public health officials have called the current opioid epidemic the worst drug crisis in American history, killing more than 33,000 people in 2015," reports the Times. "Overdose deaths were nearly equal to the number of deaths from car crashes. In 2015, for the first time, deaths from heroin alone surpassed gun homicides." "This epidemic is different from those of the past in significant ways. One is that it has spawned a growing demand for medications that can help modify addiction’s impact," Abby Goodnough writes in a story that looks at rural Marshalltown, Iowa. "For people in this rural community of 28,000, getting medication to help overcome opioid addiction used to require long drives to treatment centers." In Nogales, Ariz., on the Mexican border, Customs and Border Protection agents last year "seized more than 930 pounds of heroin in Arizona, which is almost one-third of all heroin seized along the entire southern border," Fernanda Santos writes. "Agents acknowledge that they catch only a small fraction of what goes through. Much of the heroin that enters this country comes hidden in cars, concealed in suitcases, squeezed inside hollowed fire extinguishers, or strapped to the thighs, crotches and chests of Mexicans and Americans who cross between the two countries." In Huntington, Utah, "There are few options for drug treatment in the high desert of central Utah, a remote expanse of struggling coal mines, white-steepled Mormon towns and some of the country’s highest opiate death rates," Jack Healy writes. "The lone doctor licensed to prescribe one addiction-treating drug has a waiting list. The main detox center is the county jail. The rate of prescription overdose deaths among the 32,000 people sprinkled across two neighboring counties in this corner of Utah is nearly four times the state average. Addiction has rippled through ranks of miners who relied on pain pills after years of digging coal and working in the power plants."